If you or your friends and family are going to Italy this year. 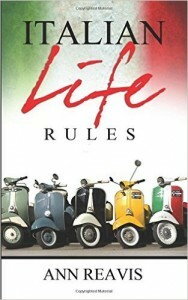 Or if you want to do some armchair traveling, you should pick up Italian Food Rules and Italian Life Rules that I wrote after living in Florence for fifteen years. I broke every one of the “rules” before I learned to live like an Italian. I didn’t always agree with the rules, but I finally understood why they stood the test of time. Did you know that Italians never drink cappuccino after 10 o’clock in the morning? Do you know why they never eat pizza for lunch? Why does the fruit vendor in the market yell at you when you check out the ripeness of the pears or the freshness of the green beans? 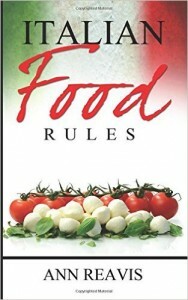 I wrote about the rules and the reasons in Italian Food Rules. Did you know that Italians don’t like wall-to-wall carpets? Why are they only allowed to have shutters in four colors in Tuscany? What’s the danger of air conditioning to Italians? Why are they carrying a neck scarf in the middle of the summer? 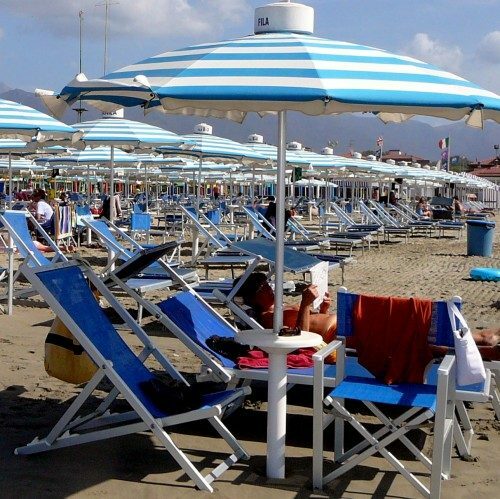 Why is the Italian beach scene so different from the rest of the world, but exactly the same everywhere from Rimini to Calabria to Forte dei Marmi to Portofino? 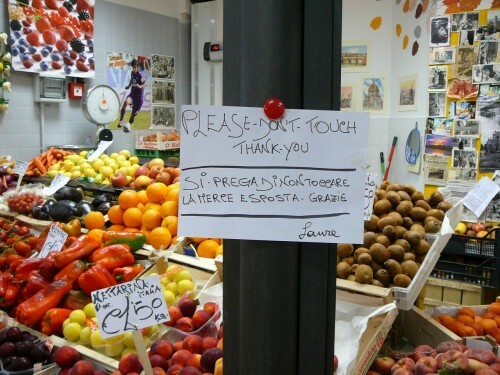 I tried to provide some insight in Italian Life Rules. 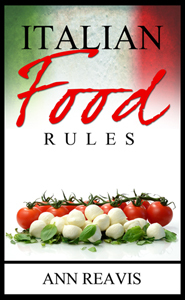 From May 15 to May 22, the Kindle version of Italian Food Rules will be on sale for $1.99. Digital books make great gifts and the paperback is the perfect size to carry in a pocket on your travels. Also on sale at Amazon.co.uk. fantastic! I will buy and sponsor your book.